September is National Disaster Preparedness Month, and the importance of animal disaster planning has been made clear by recent hurricanes and wildfires. Livestock evacuations have been all too common, both on large and small scales. 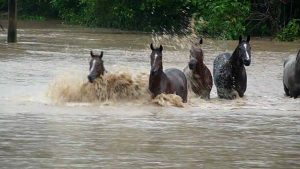 A new American Veterinary Medical Association website resource provides critical information that veterinarians can share with owners of horses, poultry, cattle, and other livestock to help them plan in advance to safeguard animals in the event of emergency.